Previous to joining the Dish team, Ryan taught Culinary Arts at the Brighton Institute of Technology, in his hometown of Melbourne. After winning Teacher of the Year for his last 2 years of teaching, he felt the need to exercise his creative flair for food and get back in to the kitchen. Heavily influenced by chefs such as Pierre Gagnaire, Ferran Adria (elBulli) and Wylie Dufresne (WD50), Ryan’s cuisine is a modern and global fusion style, bringing elements from around the world to your doorstep in Dubai. 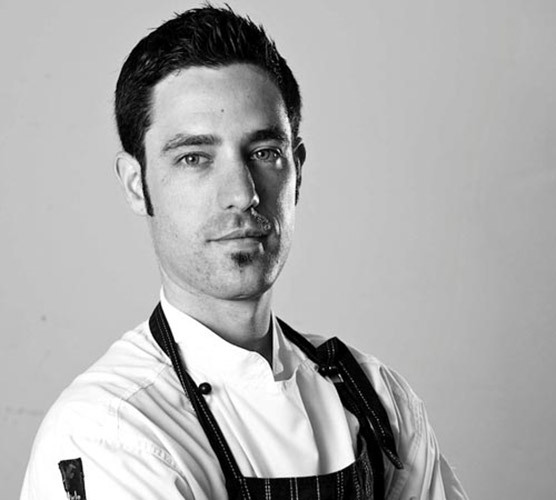 A famous gentlemen’s club in Melbourne, The Anthenaeum Club, gave Ryan strong experience cooking classic French fine dining for Prime Ministers and Foreign Dignitaries, while his time at Alegro at The Westin Hotel has given him strong experience at producing international modern fine dining on a large scale. Ryan’s exceptional teaching skills coupled with his creative insight make him the perfect Head Chef at Dish. Ryan creates the delicious Dish menus utilizing his 12 years of fine dining kitchen experience. He is also responsible for the day to day running of the kitchen ensuring that Dish food is always served at the highest possible quality. Ryan loves the challenge of leading the Dish kitchen team. Everyday brings new challenges and opportunities.